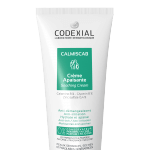 Calmiscab Intense is an anti-scratching cream which is intented for immediately relieving localized itching and easing discomfort related to insect bites and stinging plants. 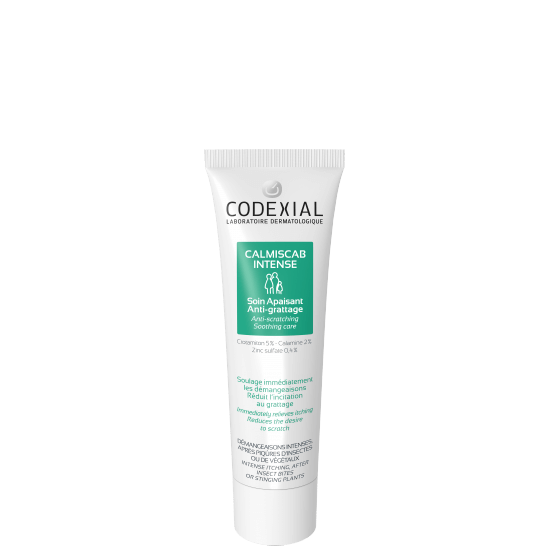 Calmiscab Intense, fragrance-free, immediately reduces itching and the desire to scratch thanks to its association of active ingredients (Crotamiton, Calamine and Zinc sulfate). These active ingredients relieve and soothe skin discomfort, sanitize the skin and limit the spread of bacteria. Apply 2 or 3 times daily. For children, only one application may be sufficient. 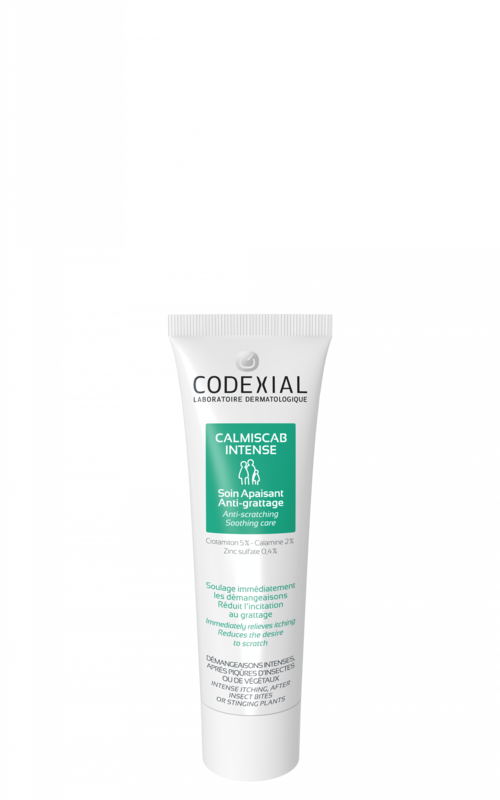 Do not use Calmiscab Intense in children under 3 years old and pregnant woman. Avoid the eye area and mucous membranes.